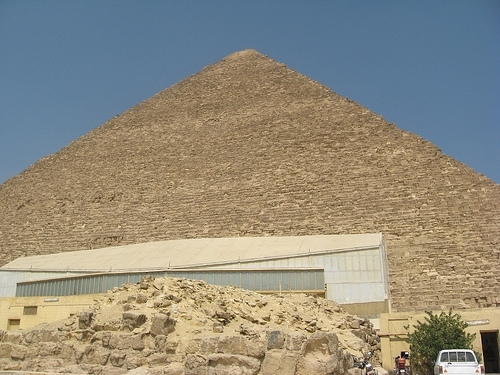 It is situated to the south of the Great pyramid . 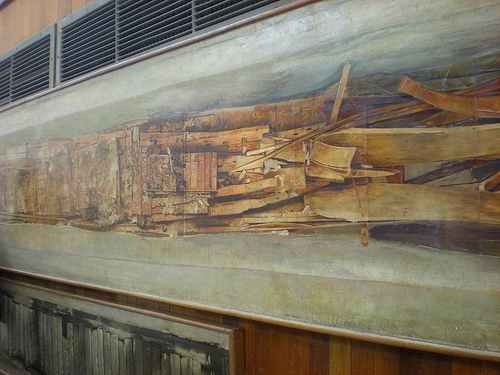 It was established by Kamal El - Mallakh who was born in Assuit, Egypt, on October 26, 1918. He was a dedicated scholar of Egyptology and culture died in October 1987. 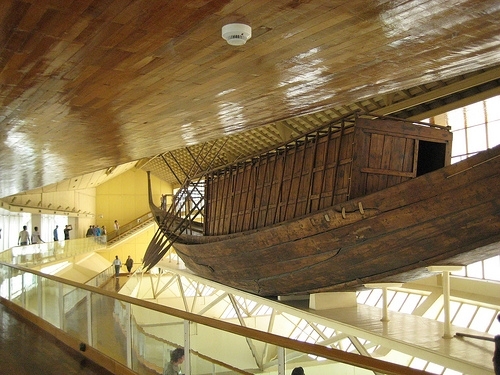 It was built to contain the Solar Boat of the great king Cheops which was discovered by Kamal El Mallakh in 1954. 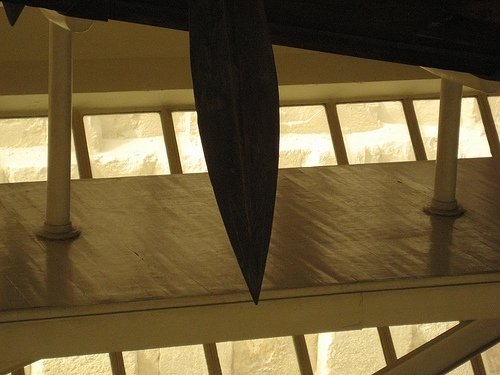 The museum is a humidity-controlled pavilion, containing a 141 feet long boat, one of the five boat pits sunk around Cheops's pyramid . 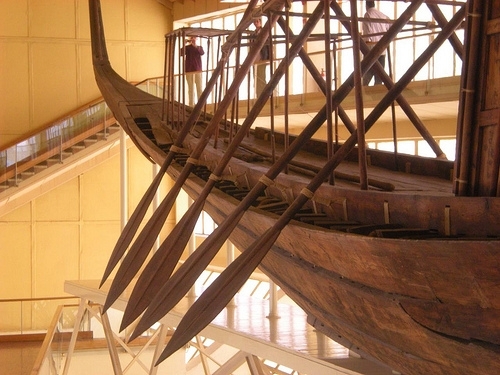 The boat, made entirely of cedar wood, is over 120 feet long and is about 40 tons displacement. It should be mentioned that there are boat pits near the pyramid of Cheops, 5 pits to the east of the Great Pyramids and 2 pits to the south. 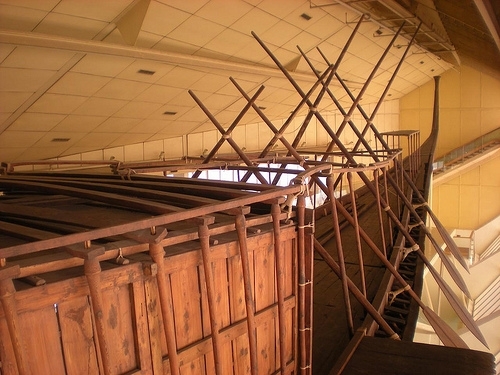 The reconstruction of the solar boats took 14 years, but was helped by U-shaped holes, allowing the boat to be stitched together by ropes or vegetable fibers. The boat is an impressive 141 feet long and 20 feet wide. 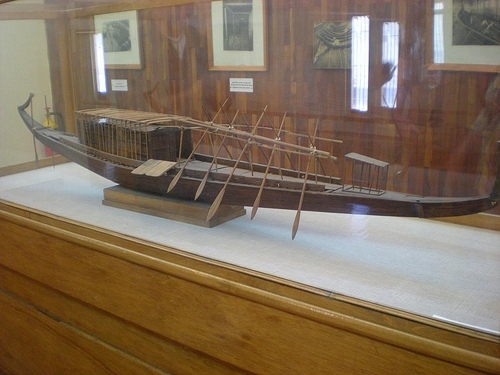 There are many suggestions about the function of the solar boats; first it was used for the soul of the dead accompanied the sun on its eternal journey in the heavens around the world , so a boat or at least a model of a boat was included in every tomb. Moreover; it was used in religious events like pilgrimages and transporting the statue of a god.